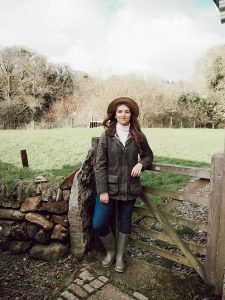 Being a country girl at heart, there’s no brand better defining me than Barbour. 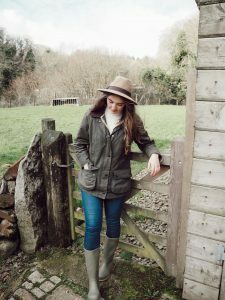 It’s the epitome of gentry styling as well as offering comfort, quality and versatility to assist on the real day to day country life. 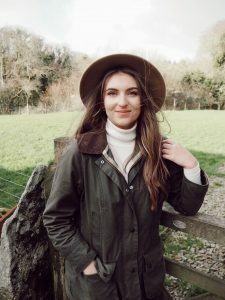 With my passion for the brand, I wanted to share a trio of posts showcasing three of my favourite Barbour coat styles and how I dress them for day to day life. 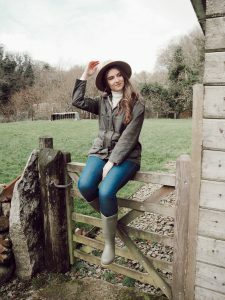 I want to promote the versatility they offer so I’ll be styling them from country life, coastal exploring and city dwelling. Starting here with country perfection. I started my Barbour collection several years ago with the classic waxed jacket which looks as good now as it did the day I took it out of the packaging. I remember getting it for my birthday and I was so happy, I wore it everyday for ages. 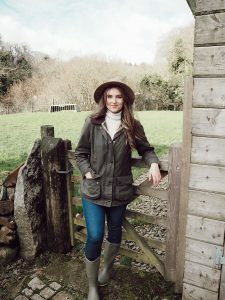 It’s the perfect coat for all manners of outings, whether I’m herding sheep on the land or popping to the supermarket. It’s warm, comfortable and who doesn’t adore those deep pockets?! 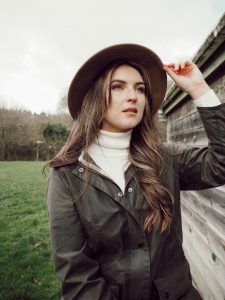 This year, Barbour are celebrating their 125th birthday – how crazy is that! And the best part for me? It’s still a family owned brand, now on to their fifth generation headed by two wonderful women, Dame Margaret and Helen Barbour. Beginning its life in 1894, a whole one hundred years before I was born, Barbour has such a classic design which is timeless as it ages. 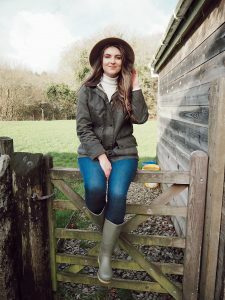 For part one of my trio of posts, I have focussed on country styling for the classic waxed jacket. 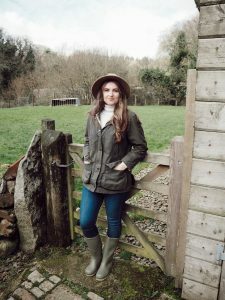 I love wearing this jacket making it centre stage, along with skinny jeans which are perfect to tuck into some wellingtons for the farm. 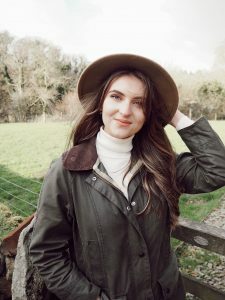 I opted to style it along with a roll neck jumper to keep me warm in the wintery chill and top it off with a traditional fedora hat. Wearing the wax jacket always makes me feel elegant and lady-like, showing off my proud country routes. I hope you’ve enjoyed my first post in this series. 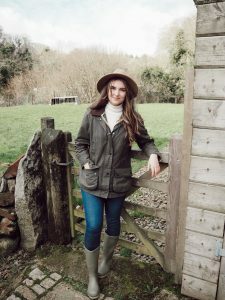 Please let me know your favourite Barbour coat style and head over to their website to read all about the five generations behind the Barbour we have today, their full post here. "Styling Barbour; Country, Coast & City #Barbour125years Part ll"